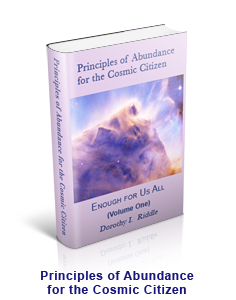 The Enough for Us All series has been designed to help us recognize and embrace our abundant and joyous reality and expand our vision of what is possible. Each volume explores the personal, business, and societal aspects of shifting from a preoccupation with scarcity to participation in a collaborative process, from fear to hope. 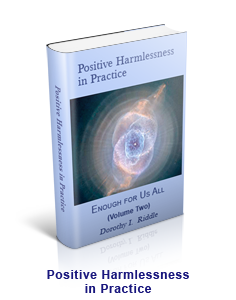 In each softcover or hardcover volume, there are practical exercises to help apply the concepts in daily life. 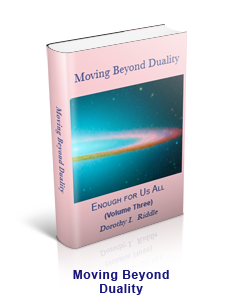 The Enough for Us All series is dedicated to my mother, Katharine (Kittu) Riddle, whose loving energy and inquiring spirit have brought joy to me and to hundreds of others all around the world. 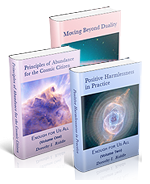 It is from my mother that I first learned the meaning of abundance, as well as the worth and dignity of all beings, and began to see beyond the confines of our planetary life and to question the assumptions that seem to hold us captive.